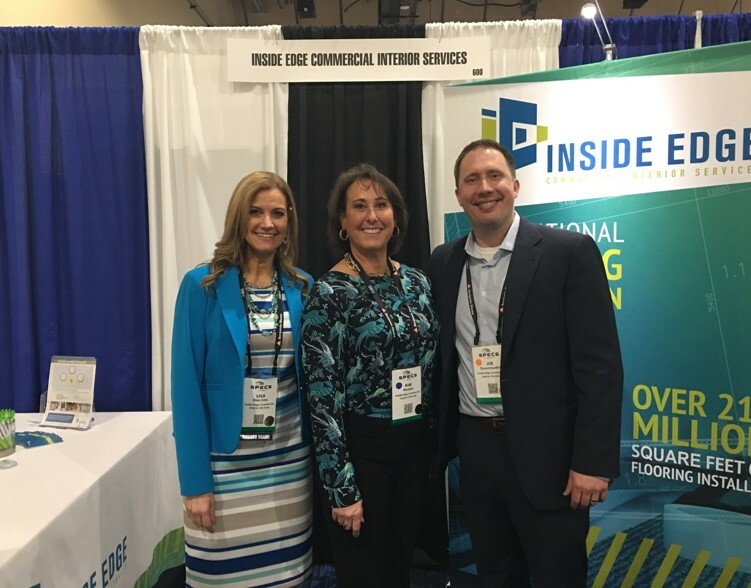 Lisa, Kim and Joe represented Inside Edge at SPECS in Dallas, TX March 18th -20th. Inside Edge kicked off its Tradeshow season by attending SPECS 2018 in Dallas TX. SPECS brings together the nation’s top retailers and top suppliers to learn, connect and find new solutions to the industry’s biggest problems. Our team, Lisa Bien-Sinz, Kim Murphy and Joe Dovenmuehle, had a wonderful experience connecting with customers, general contractors and vendor partners!